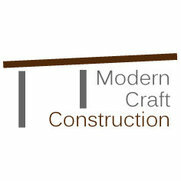 Modern Craft Construction is a boutique residential remodeling and construction company located in San Francisco. 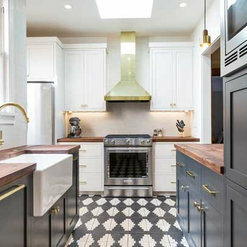 Our mission is to restore and revitalize homes into modern, luxurious living spaces, while maintaining the aesthetic charm and character that San Francisco architecture is known for. 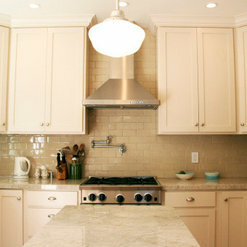 We specialize in all phases of residential remodeling, additions, renovations and seismic upgrades. We are distinguished by our commitment to quality, high-end craftsmanship and attention to detail. We are known for our professionalism and integrity in everything we do. We always have our clients’ best interests at heart and are proud to be able to turn their vision into reality. 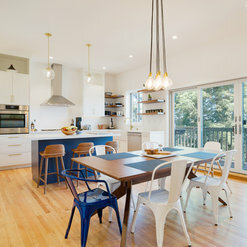 18 Projects for Modern Craft Construction Inc. Highly recommend Modern Craft Construction. MCC did a project to renovate/rebuild aging porch/stairs at back of a typical SF 3-level building. We received multiple bids and MCC wasn't the cheapest or most expensive, but the bid was fair and included detail that showed attention to our goals. Also, based on impression of personality/trust, MCC felt like a good choice. John Lyng spent a lot of time with us during the bid and the project; he and his team were all extremely competent, professional and conscientious. And nice; good people to work with. John went out of his way to improve on our plans once he began work - his knowledge of building department and standards for rebuilding was a huge asset and we ended up with a better end result. Good project management/communication was one of the strengths I'd heard from a reference and I agree. Though there were changes and bumps along the way, we consistently heard from John or his team - when we'd need to be involved, what to expect with subcontractors & inspections, and helping manage around construction disruptions to daily life. I am very happy with the finished job and working with MCC. Here are some considerations I had not thought about until after I started working with John's team. If you are hiring someone to work on your home, not only will you see their work every day, but for the duration of the project, you will probably see the team fairly often. John's team and their work is top notch. I think it says something when you finish a large project, and having the crew leave for the last time is a bittersweet experience. Not only did we get an awesome renovation (before & after photo attached), but as homeowners going through our first large project, we had a great group of people who really educated us about the process. I cannot recommend this team enough! 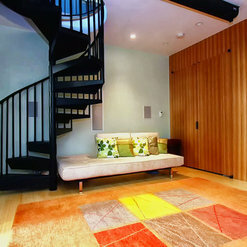 Modern Craft Construction and its Principal, John, were a pleasure to deal with. It was a very large project with a large budget. John was many great things: project manager, rough carpenter, finishing carpenter, designer, and much more. John and crew navigated city inspectors, 2 architects, an insurance company, and many subcontractors. Not a moment was wasted. John and crew were very friendly and a pleasure to deal with. We highly recommend them. John Lyng is an incredible and thoughtful contractor. I and my neighbor (in a duplex) hired him to rebuild our building after it was badly damaged in a fire. We lost every wall, floor, ceiling, subfloor, half the framing and so forth. So if you're curious whether John can rebuild a building from the ground up, the answer is yes. I'm not experienced in building houses, and so my tactic was to randomly drop in un-announced and see what was going on. Basically every time I came by John was here, and he always dropped whatever he was doing to give me a tour of the project. Later on he and my architect would have weekly meetings (for which I would usually, but not always, join), and she always reported that no corners were being cut and the work was being done to her liking. As you can see from the photos the workmanship is amazing. It's really a beautiful house. You probably can find a cheaper contractor than John, but if you want to have your project done right, and if you don't want to worry about visiting the project constantly to make sure no corners are being cut, then you need to hire John. I would highly recommend John. He has been an absolute delight to work with. Firstly, he is a wonderful person: smart, kind, professional, reliable. He is a great communicator and true to his word. Secondly, he does top notch work, from big items down to details. He works with the same subcontractors over time and they are all great. Finally, he is very budget conscious and honest. We could not be happier with our house (4-month remodel project) and it was a painless process thanks to John and his team. John has made our backyard into the favorite "room" of our house. He is a skilled craftsman and a pleasure to work with. 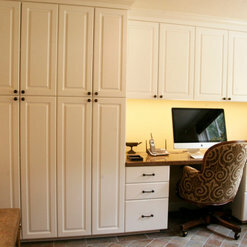 John is good at turning clients' abstract ideas first into workable plans, and then into beautiful finished products. 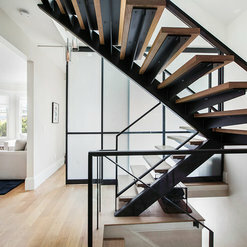 In the later stages of our full house remodel, our architect recommended John to build and help with the design of our staircase as well as to do all the fine trim work in our (now updated) 19th Century Victorian. While we were pleased with our contractor, we wanted a fine craftsman to do the work that our friends and family would see when they walked into our home. John's quality of work was exceptional, and we were impressed by his attention to detail. In addition, it was very easy to work with John. He listened to our ideas and gave us valuable feedback which helped us with our design decisions. My wife and I highly recommend John and his fine craftsmanship. 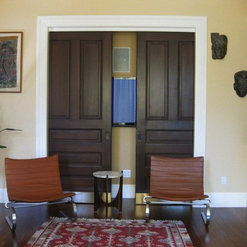 In 2010/11 John Lyng worked to completely renovate my home in Potrero Hill, San Francisco, a 100+ year Victorian cottage. 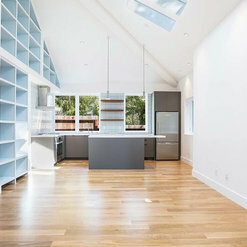 This was a major job: we took it back to the studs: opened all the interior walls, connected 2 levels that had been previously separate units, and reconfigured the layouts of both levels. The project took about 8 months so I got to know John and his work well. I found John to be a pleasure to work with: first, he is a very good guy, absolutely trustworthy. He listened carefully to me and advised me when my ideas needed tweaking. He is a great craftsman and he cares personally that the work is excellent in quality. 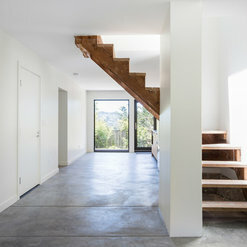 John designed the staircase with skylight connecting the 2 levels and it is a central feature of the house; I am so happy with it. 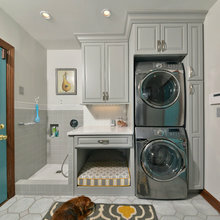 He designed and built several custom features of my house including a niche and a vanity. John is also able to keep an eye on the budget and I feel I got great value for the money spent. He has a strong work ethic and will put in the effort necessary to get the job completed. I would absolutely work with John on a future project. 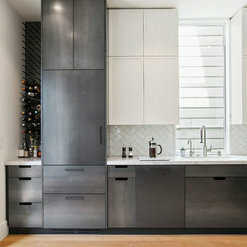 1 Ideabook for Modern Craft Construction Inc. Commented: Could you please let me know what this wood is?Hi Jennifer this is white oak stained with Rubio mono coat, natural. 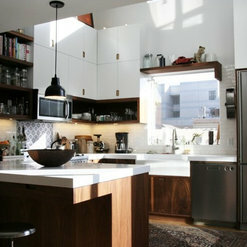 Commented: love this kitchen! what brand and finish is the brass faucet?Thanks for your question. The faucet is Newport brass.